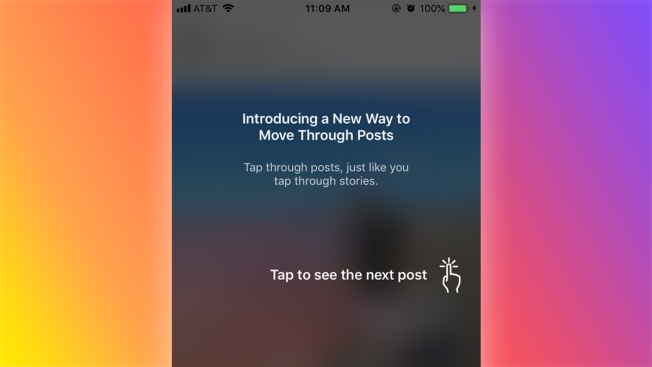 An accidental test layout published to Instagram's mobile app on Dec. 27, 2018, had unhappy users flooding Twitter and Facebook to complain about the "Story" styled posts. Some Instagram users found themselves swiping through their timelines left to right on Thursday, rather than vertically, prompting widespread outrage and the social media company to roll back the update, NBC News reported. Head of Instagram Adam Mosseri explained what happened on Twitter: "That was supposed to be a very small test that went broad by accident. Should be fixed now. If you're still seeing it simply restart the app. Happy holidays!" The Facebook-owned app's test focused on user interaction with its feed, switching from its traditional up-down swipe to a left-right version. The update seemed to upset many people, based on the reactions on social media, but many users said their feeds soon went back to normal. Instagram owes all of us an apology. Instagram completely obliterating its feed while everyone is stuck on their parents’ couch is exactly the holiday drama I needed this week!